This program is a handy little utility to have especially if you tend to use task manager to kill processes a lot. 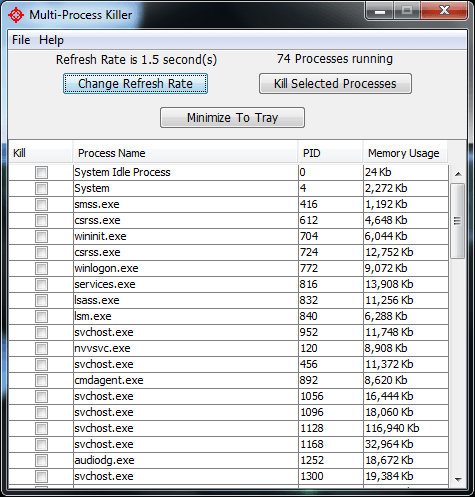 Multi-Process Killer lets you speed up the killing process when you have many processes to terminate, by letting you select all of them at once and killing all of them. The tray icon also lets you have fast access to it for when you need to terminate processes.